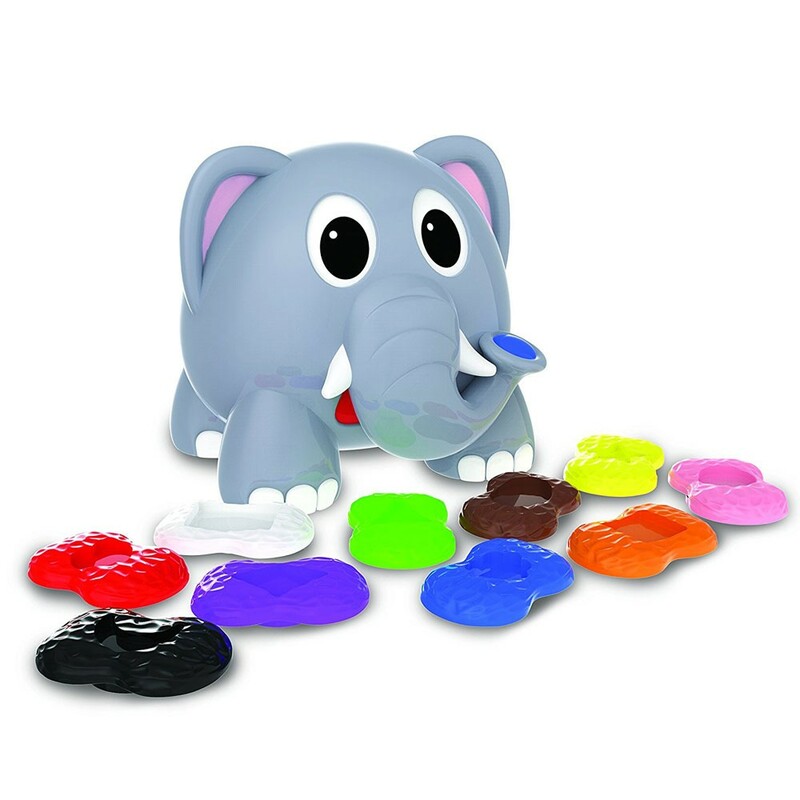 Putting colored peanuts in and out of this talking elephant is a fun way to learn about colors and shapes. 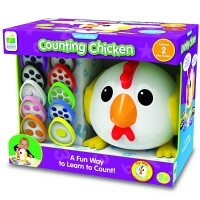 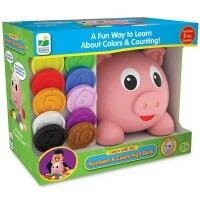 Find, count, match and learn with this new talking elephant toy! 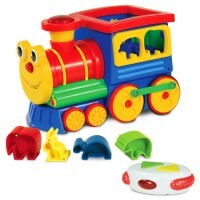 Shapes Elephant Toddler Electronic Toy is a new addition to the interactive toddler toys by the Learning Journey. Putting colored peanuts in and out of this talking elephant is a fun way to learn about colors and shapes. 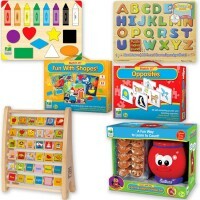 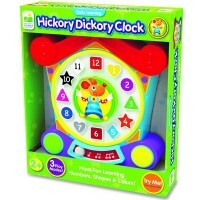 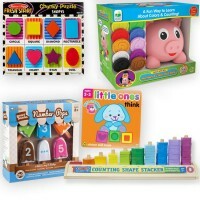 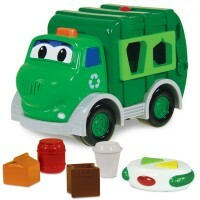 With two play modes children will learn their colors and shapes through a Discovery and Find It! 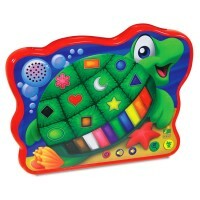 modes. 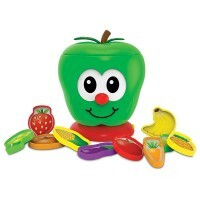 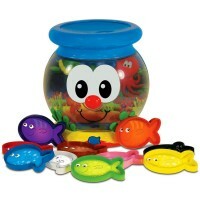 Educational Toys Planet's toddler toy requires 2 AA batteries (included). 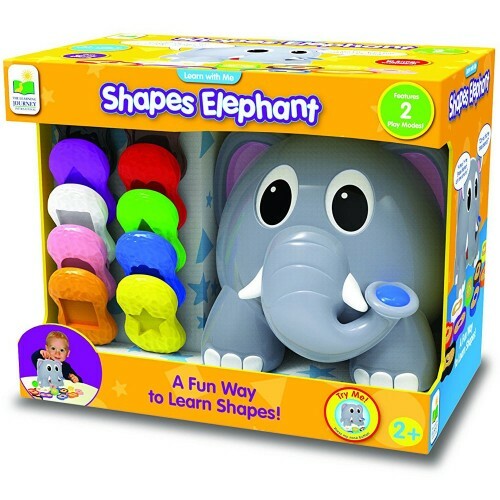 Dimensions of package 6.5" x 10.75" x 8.75"
Write your own review of Shapes Elephant Toddler Electronic Toy.